This guide will walk you through getting started with Workbench after your teammate has invited you to Workbench. In order to get started you can click on the "View File" button which will redirect you to the project. 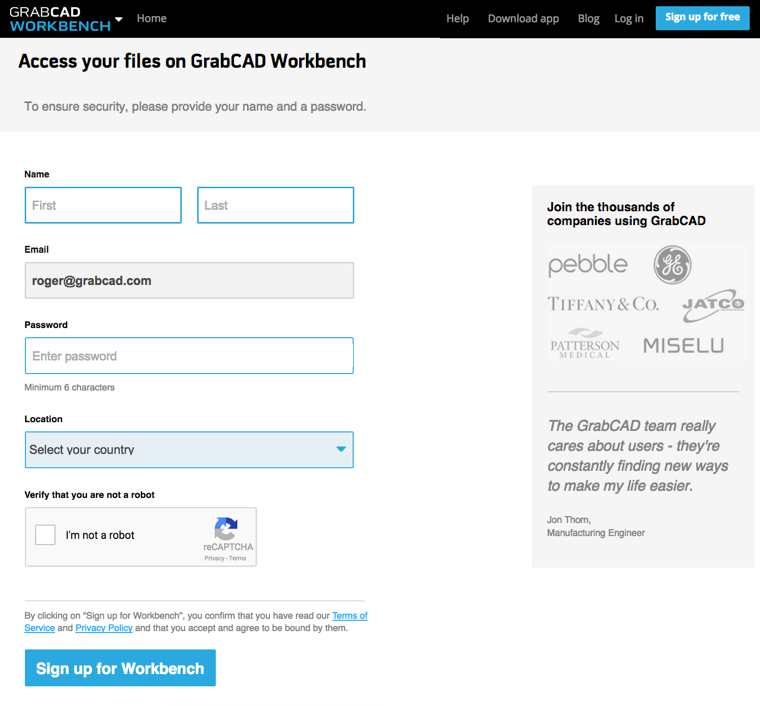 If you are logged out or don't have an account with GrabCAD, the "View File" button will redirect you to the log in page in which case you can log in or register to get access to the project. Once you are logged in, you will be directed to the project where you can view, download, and upload files. As an invited collaborator to a project, we recommend you download the Workbench Desktop App to sync projects to your computer. After installing the Workbench Desktop App and finishing the initial setup, you will see the project you were invited to in the left panel of the Desktop App. Select this project and click on the purple download panel to sync the project files to your computer. If you had previously installed the Desktop App, you may not see the project you were just invited to on the list. This is because the list depends on which account is set to the default account. Head over to the settings menu to change the default account. 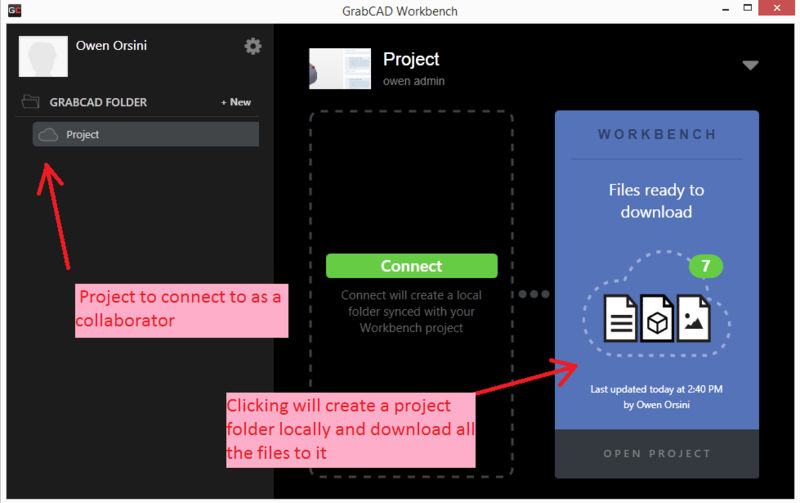 After successfully downloading files to your computer via the Desktop App, the GrabCAD folder will contain the project folder with the files you just downloaded. If you want to read more about the Workbench Desktop App, please read the user's manual. Now that you are in Workbench, get to work! Again, we strongly recommend you use the Workbench Desktop App to sync your project files so that you and your team are always up-to-date. Read more about the Workbench Desktop App.